You going to the 17th street farmers market grand opening today? Welcome to the new 17th Street Market! We’re cutting the ribbon on the renovated market on Friday, November 30th at 5pm. Join the Enrichmond Foundation for a holiday-themed Grand Opening weekend, in conjunction with Main Street Station’s Illumination and Winter Market. 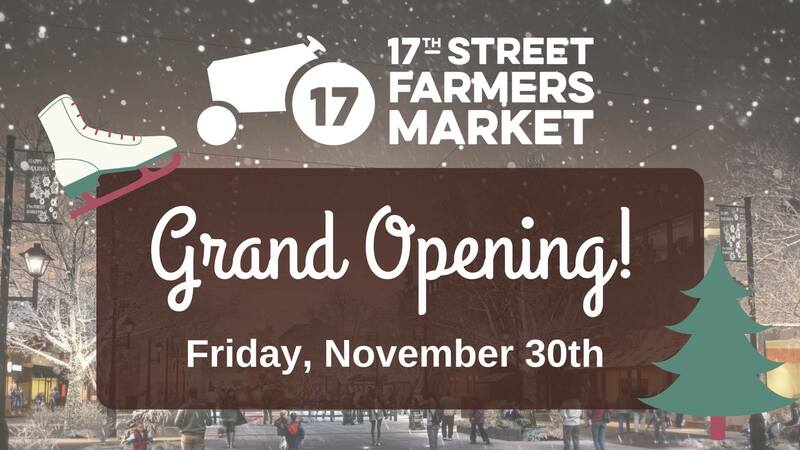 17th Street Market’s Grand Opening will feature RVA On Ice ice skating, hot chocolate, live music, and twenty-two oak trees illuminating at 6pm. Enjoy drinks and dinner at a local restaurant along 17th and 18th Streets. After 17th Street Market’s opening, head up to Main Street Station to see Santa, a Tuba Ensemble, and aerialist performances. On Saturday, Shockoe Bottom’s holiday weekend continues with a Winter Market at Main Street Station and Christmas trees for sale from TreeLab at 17th Street Market. Ice skating will continue through the afternoon. Come down to Shockoe Bottom to experience the new Market space and holiday festivities all weekend! Join one of the many local restaurants in the area for dinner Friday night! Alex’s Thai Cuisine – 13 N. 17th St. Thai. C’est Le Vin – 29 N. 17th St. Wine and tapas. Cafe Clang – Serving hot chocolate. Havana ’59 – 16 N. 17th St. Cuban. Rosie Connollys Pub – 1548 E. Main St. Irish pub fare. Tipsy Crab Seafood & Bar – 1700 E Main St. Specialty seafood. Bellos Lounge – 1712 E Franklin St. Caribbean. Bottom Burger – 1719 E Main St. Burgers. Grace Noodle – 1823 E Main St. Japanese. La Bamba Mexican Restaurant – 19 N 18th St. Mexican. Margarita’s Cantina – 103 N 18th St. Mexican. McCormack’s Irish Pub- 12 N 18th St. American pub fare. Minibar RVA – 14 N 18th St. New American/Southern. Miyabi Sushi – 1712 E Main St. Sushi. On the ROX – 119 N 18th St. Pub fare. Ponies & Pints – 110 N 18th St. Pub fare. Sauce&Toss – 1711 E Franklin St. Seafood. Southern Kitchen – 1726 E Main St. Southern fare. Sumo San – 1725 E Main St. Sushi. Tio Pablo – 1703 E Franklin St. Tacos and more. I went. An out of town friend and I had a great time. Sauce and Toss was wonderful. The Tipsy Crab left A LOT to be desired. This was my second time there. I was embarrassed to have an uninformed friend with me. Thank God we went to my apartment to make mulled wine.